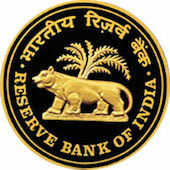 The Reserve Bank of India invites applications from eligible candidates for 623 posts of “Assistant” in various offices of the Bank. Selection for the post will be through a country-wide competitive examination in two phases i.e. Preliminary and Main examination followed by a Language Proficiency Test (LPT). Age Between 20 and 28 years. Candidates must have been born not earlier than 02/10/1989 and not later than 01/10/1997 (both days including) are only eligible to apply. Age relaxation is applicable as per Government of India rules. Official Language and Local Language.